A man walks into a bar. 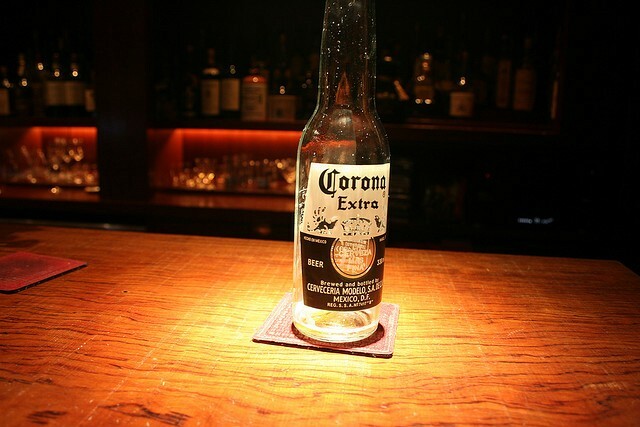 He takes a seat at the bar, nods to the bartender, orders a Corona. The man is alone. He is the joke. A man walks into a bar. His girlfriend is at home, alone, watching a Parks and Recreation rerun. She would love to have a drink, relax with a beer at the bar, but the man seems to have forgotten to invite her. Just like he forgot that they made plans to go to IKEA last week. A man walks into a bar that is definitely not IKEA, even though IKEA is open late, weeknights and everything, and it still wouldn’t be too late to go. It’s not even like this would be some big favour he’d be doing for his girlfriend or anything. She hasn’t been harbouring this longterm desire to get lost in the Swedish version of the hell maze from the fourth Harry Potter. They had agreed, together, that they were running out of space to put all their books, and IKEA, while nothing fancy, provided decent bookshelf options at reasonable prices. A man walks into a bar. Seriously, most of them aren’t even her books. She did a giant purge of her collection last month and donated all those 19th century British novels that she enjoyed but knew, realistically, she would never reread, to the local Goodwill. He was the one who kept insisting on the ~*~sentimental value~*~ of the written word, as if he were some kind of romantic poet and not a hoarder who held onto all his old possessions the same way he held onto feelings for his ex-girlfriend, Karen. Sure, Andy, tell me all about how you plan to re-read your Psychology 101 textbook that, let’s be real, you probably didn’t even crack open when you actually were an undergrad. A man walks into a bar. He sips his Corona, despite the fact that his girlfriend keeps the fridge at home stocked with the stuff, even though she doesn’t drink it. She’s just thoughtful like that. A horse walks into a bar. The bartender says, “Why the long face?” Before the horse has time to respond, though, the man cuts him off to order another beer. Typical man. A man walks into a bar. The bar is in Karen’s neighbourhood. The girlfriend isn’t insinuating anything, but she does think it interesting that in all the bars in their city, that’s the one he chooses to go to. A man walks into a bar. It didn’t always use be like this, you know? He used to be so kind, so attentive. The girlfriend hates the type of woman she’s becoming. She feels shrilly, petty, and she used to consider herself to be so much fun. She has never felt more unattractive. They haven’t made love in weeks, not even when she wore that expensive new lingerie that she splurged on. Her boyfriend claimed that he was too tired, that he had a long day at work. But his girlfriend works hard at her job, and she has needs, Andy. As she thinks about this, she trips over a pile of the man’s books that had been carelessly stacked on the floor by the couch, with no bookshelf space that they can call their home. She curses under her breath. A man walks into a bar. A woman takes a lover. Anna Fitzpatrick is a Toronto-based writer. She has a lot of her old university textbooks and even more feelings about Karen.